Hoteliers can agree that many, if not all travelers bring their smartphones along during their travels. According to recent studies, U.S. travelers use smartphones more for texting (63%) than any other function phones provide when traveling. It is clear to see that the majority of travelers are highly engaged and connected via text messaging, so shouldn’t hoteliers reach their customers this way as well? 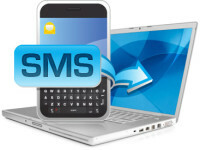 SMS has the power to strengthen customer service and makes information-based services more accessible to customers. Hotels that have already adopted SMS text messaging into their marketing initiatives boast positive results in the form of reduced costs, operational efficiencies, and better communication by being able to connect with customers anytime, anywhere. As a hotelier, if you have not yet taken advantage of the benefits SMS can offer, then it is the perfect time to start maximizing guest relationships and increase the success of your investment. Hoteliers should never spam guests with text messages without first getting their permission to receive text notifications. It’s important to always make sure that your customers are aware that they have opted-in to receive mobile messages, and that they are comfortable with receiving them. To be on the safe side, it may be a good idea to include a double opt-in for text messages, and it is absolutely necessary to have the option for customers to opt-out as well. Additionally, hoteliers should always send out meaningful and useful text messages that resonates with customers. One of the main functions of SMS in hospitality is to use it towards embracing customers’ desires and aligning your messaging with them. Another important thing to consider is to respect the private nature of your hotel guests’ mobile phones. Just as you would never disturb the privacy of your hotel guests during their stay, don’t disturb the privacy of their mobile phone by sending silly or frequent messages either. Savvy hoteliers are capitalizing on the immediacy of SMS to save time, replace outdated procedures, provide personalized offers, and improve basic operations. For example, SMS can be used to provide automated text messages to guests in regards to room service, checking in/out, room reservations, and booking confirmations for greater operational efficiency and time savings. Additionally, mobile messages can also be used to promote the hotel and the local area. For example, hoteliers can send contest details, personalized offers, last minute rates, coupons, and special promotions via text message that can be redeemed at the hotel’s front desk. Guests are also likely to appreciate receiving localized notices of events and deals through texts, which can greatly increase customer loyalty to your hotel. Travelers are increasingly relying on their phones while traveling, exposing a huge opportunity for hoteliers to connect with their guests and provide superior customer service. By implementing SMS based initiatives, it offers a new way to develop deeply connected relationships with existing guests and the ability to leverage those relationships to achieve broader market success.